Wil Wheaton is an American actor, blogger and writer who is best known for his roles as Wesley Crusher on TV’s Star Trek: The Next Generation and as Gordie Lachance in the film Stand By Me. 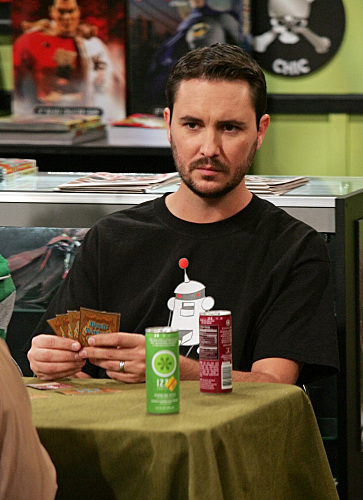 Living in Los Angeles, Wil Wheaton came into contact with Sheldon and the gang through Stuart’s comic book store, The Comic Center of Pasadena. When they first met, Sheldon already harbored a deep dislike of Wil Wheaton for failing to show up at a comic book convention over a decade earlier. Wil Wheaton’s adversarial attitude towards Sheldon soon guaranteed his place on Sheldon’s list of mortal enemies. Since their first tense meeting and a few hostile encounters, Sheldon and Wil have patched things up and become close friends. 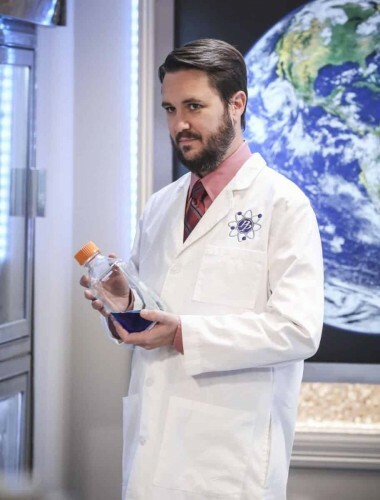 Sheldon and Wil's friendship was again in jeopardy after Wil Wheaton was cast as Professor Proton in a remake of the children's science show. Along with being friends with Leonard, Howard and Raj, Wil has worked with Penny on the Serial Ape-ist sequel and also met Amy through Fun with Flags. Sheldon first met Wil Wheaton in “The Creepy Candy Coating Corollary” when Wil signed up to play a Mystic Warlords of Ka’a tournament at Stuart’s comic book store. Sheldon agreed to join the tournament with Raj so he could exact revenge on Wil Wheaton for missing the 1995 Dixie Trek convention in Jackson, Mississippi, which Sheldon traveled across the country to attend in the hopes of getting Wil to sign his Wesley Crusher action figure. Raj and Sheldon successfully made it to the final round of the tournament where they faced Stuart and Wil. Just as Sheldon was about to play the winning hand, he delivered a speech telling Wil why he was out for vengeance. 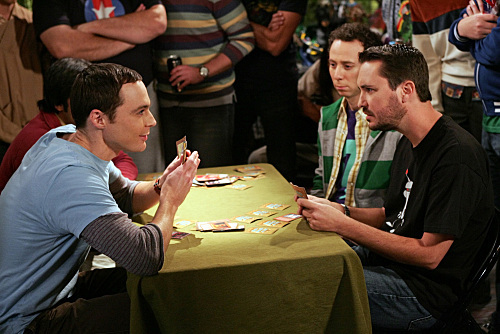 After Wil gave a seemingly heartfelt apology to Sheldon, explaining that his Meemaw had just died when the convention was taking place, Sheldon threw the game. Much to Sheldon’s surprise and fury, Wil then revealed that his grandma was actually still alive. 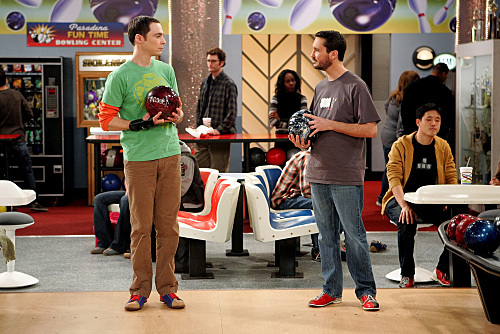 Wil returned in “The Wheaton Recurrence” when he was invited to join Stuart’s bowling team for their match against Sheldon and the gang. 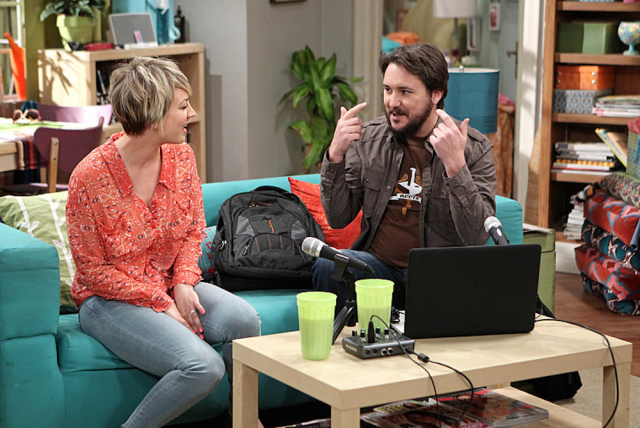 During their first match, Wil observed that Penny, the star of her team, was having relationship problems with Leonard. After Penny ran out of the bowling alley and her team forfeited the game, Sheldon arranged a rematch. On the night of the rematch, Wil gave Penny relationship advice which led her to reconsider her relationship with Leonard. When Penny once again left the match early and forfeited the game, Sheldon knew Wil was behind it and had gone as far as breaking a couple up just to win a bowling match. In “The 21-Second Excitation”, Sheldon and the guys ran into Wil and his friends while waiting in line at the theater to see an extended version of Indiana Jones and the Raiders of the Lost Ark. After Wil used his celebrity to cut the line, Sheldon was outraged that they were turned away from the cinema because it was full. To make sure Wil and his buddies could not enjoy the movie, Sheldon snuck inside the theater and ran away with the reel of film. 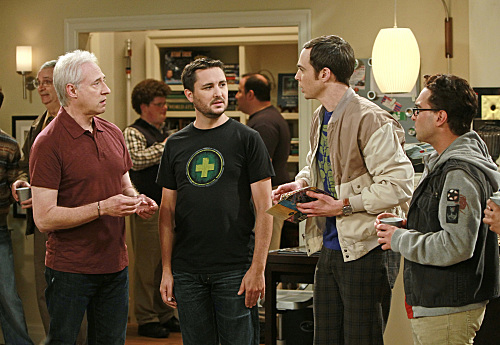 When Wil ran into Sheldon and Leonard at Stuart’s comic book store in “The Russian Rocket Reaction”, he tried to bury the hatchet with Sheldon by inviting him and Leonard to attend a party he was throwing at his house. 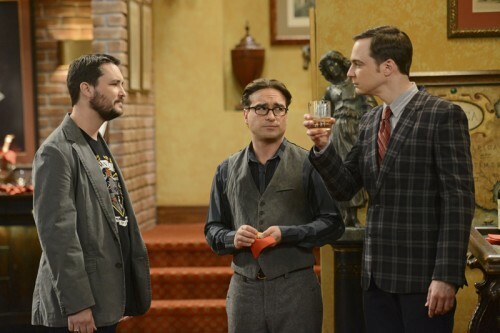 Sheldon was upset that Leonard was planning on going to a party thrown by somebody he considered his mortal enemy. When Leonard and Raj left Sheldon to attend Wil’s party, Sheldon followed soon after them. Remembering what Sheldon had told him about taking a Wesley Crusher action figure to a Star Trek convention that he failed to attend, Wil gave Sheldon a mint-in-box Wesley Crusher action figure and signed it “To Sheldon, sorry this took so long. Your friend, Wil Wheaton.” Sheldon was then annoyed when Star Trek: The Next Generation’s Brent Spiner ripped the box open to play with it, securing his place on Sheldon’s list of mortal enemies. When Wil attended Howard’s bachelor party in “The Stag Convergence”, he filmed Raj’s embarassing best man speech. The drunken speech, which mentioned some of Howard’s most tasteless incidents, landed Howard in trouble with Bernadette who considered calling off their wedding. 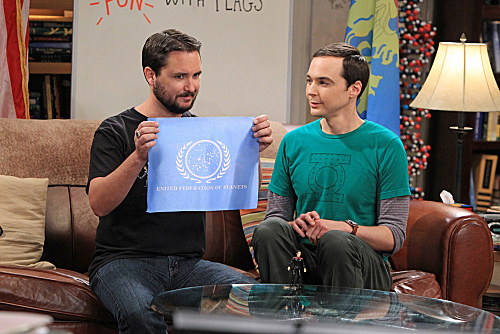 When Wil joined Sheldon for an episode of Fun with Flags in “The Habitation Configuration”, Amy’s directing style bothered Wil, who threatened to leave. Amy was outraged when Sheldon sided with Wil. After Penny helped Sheldon see that he should have backed Amy up, an inebriated Sheldon went to Wil’s house to confront him. 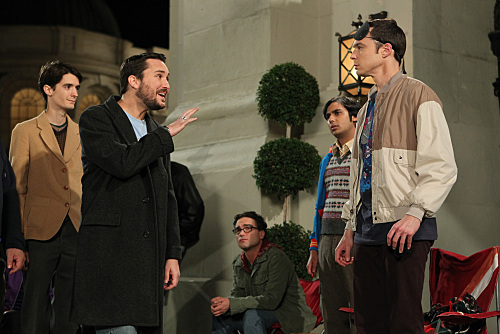 But before Sheldon could fight Wil, he was throwing up on Wil’s flowerbeds. 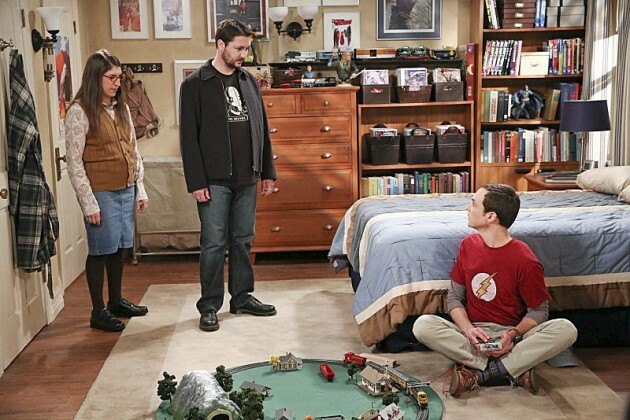 After Sheldon realized there was a mistake in his research which meant he stumbled into a breakthrough by accident in “The Discovery Dissipation”, Amy brought Wil in to try cheer Sheldon up. Wil mentioned how people didn’t always like his Star Trek character, Wesley Crusher, and would sometimes be mean to him as a result. Wil went onto explain how his role on Star Trek is now just one small part of a pretty great life and a part he’s happy is there. When Penny was unsure whether to take a part in a sequel to “Serial Ape-ist” in “The Indecision Amalgamation”, she and Leonard met up with Wil to ask him for advice about acting. Although Leonard was hoping Wil would cheer Penny up, he was very downbeat about the industry, his acting career and some of the projects he was involved with after his big break in Stand By Me. Later, Wil phoned Leonard to say he was feeling a lot better after he found his name in the TV Guide crossword puzzle. On the set of “Serial Ape-ist 2” in “The Gorilla Dissolution”, Wil stood up for Penny when she was insulted by the director who then threatened to fire her. When Wil told the director that if he was going to fire Penny, he would have to fire him as well, they both ended up out of work. When Penny was a guest on Wil’s podcast in “The Fortification Implementation” to discuss “Serial Ape-ist 2”, Wil was annoyed after film director Kevin Smith called in and mocked Wil. Still, Wil enjoyed the chat with Penny, especially when she wanted to take a part in Kevin Smith’s upcoming movie, “Clerks 3”, which led to an on-air argument with Leonard. Wil introduced Sheldon to Adam Nimoy, son of the late Leonard Nimoy, who was making a documentary about his father and the character of Spock in “The Spock Resonance”. Wil was there as Sheldon, who was being interviewed for the film, got emotional about his recent breakup with Amy as he discussed what appealed to him about Spock. 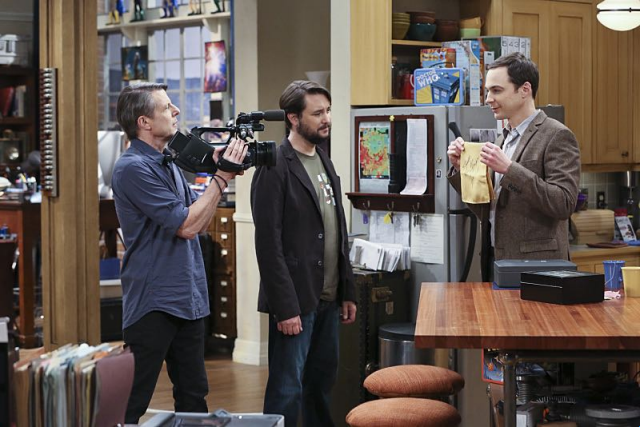 After Sheldon decided to skip seeing the new Star Wars movie on its opening night because it clashed with Amy’s birthday in “The Opening Night Excitation”, the guys gave Sheldon’s ticket to Wil. Wil showed up at the cinema wearing his Star Trek costume, much to the displeasure of his fellow moviegoers. Wil tried to convince Leonard, Howard and Raj, who were freaking out about whether the movie would live up to their expectations, not to take the film so seriously. 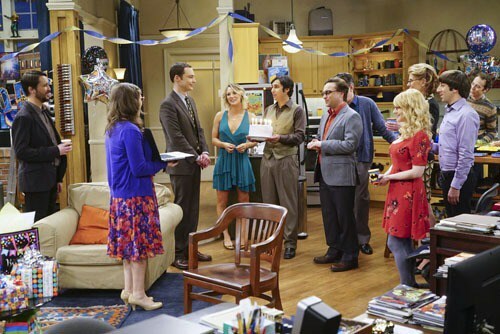 When Amy finally managed to convince Sheldon to let her throw him a birthday party in “The Celebration Experimentation”, Wil attended the party and toasted Sheldon. Wil said that although they’d had their ups and downs, his life is so much more interesting for knowing Sheldon. Wil went on to say that although they met because Sheldon was a fan of Star Trek, Wil has become a fan of Sheldon Cooper. After Sheldon learned that Professor Proton's show was being redeveloped in “The Proton Regeneration”, he decided to audition for the part. When the producers announced their casting decision, Sheldon was distraught to learn Wil Wheaton had been cast in the part. Sheldon tried to talk Wil out of taking the part, but he was determined to go ahead. As a result, Sheldon declared that Wil was once again on his list of mortal enemies - forever. When Howard was a guest on the new Professor Proton show hosted by Wil Wheaton in “The Novelization Correlation”, Sheldon realized he actually enjoyed watching the show and would like the opportunity to be on the show. Sheldon apologized to Wil, telling him he was no longer on his list of mortal enemies. Wil said he would keep Sheldon in mind, but then mentioned that he was hoping to feature more female scientists on the show and wondered whether Amy would be interested. After Sheldon told Amy that Wil wanted her to be on the Professor Proton show, she demurred saying she wasn't interested. Sheldon realized that Amy was only saying that because she didn't want to do something that would upset him. When Sheldon convinced Amy that he doesn't want her to avoid doing things because of how he'll react, she agreed to go on the show. After congratulating Amy on her TV appearance and telling her how proud he was of her, Sheldon went to the roof of the apartment building to scream. Wil Wheaton was meant to officiate Sheldon and Amy's wedding in “The Bowtie Asymmetry”, but after Howard found Mark Hamill's dog he called in a favor and had Mark officiate the wedding instead. Wil had stayed up all night preparing for the ceremony and, when he confronted Mark Hamill about replacing him, he unwittingly handed over the notes to the Star Wars actor. Wil Wheaton: Hey look, they named their team after me! Sheldon: I also have the other kind of will, and in it I will my Wil back to Wil. Leonard: Will Wil want it? Sheldon: Well, if it isn't Wil Wheaton, the Jar-Jar Binks of the Star Trek Universe! Wil Wheaton: (Imitating Jar-Jar) Me-sa think that's funny.